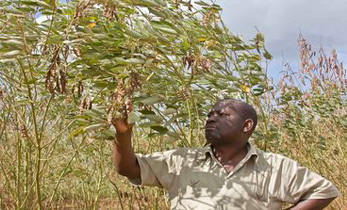 Sweet sorghum produces grain and sugar from the stalks, which grow to a whopping six metres. A crop breeding program could deliver a significant boost to India’s national nutritional and industrial needs in one fell swoop, and might even set an example Australian farmers want to follow. 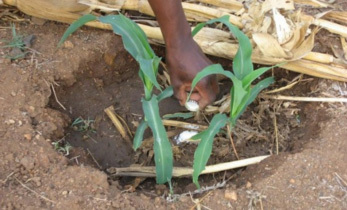 So-called sweet sorghum varieties offer the potential for dual farm incomes, with the crop delivering a simultaneous harvest of grain and biofuel – from crushing sugary juice from the stalks. And the demand for biofuels could be gargantuan. In an effort to reduce petrol prices and increase domestic revenue, the Indian government has mandated ambitious targets for ethanol in all petrol. 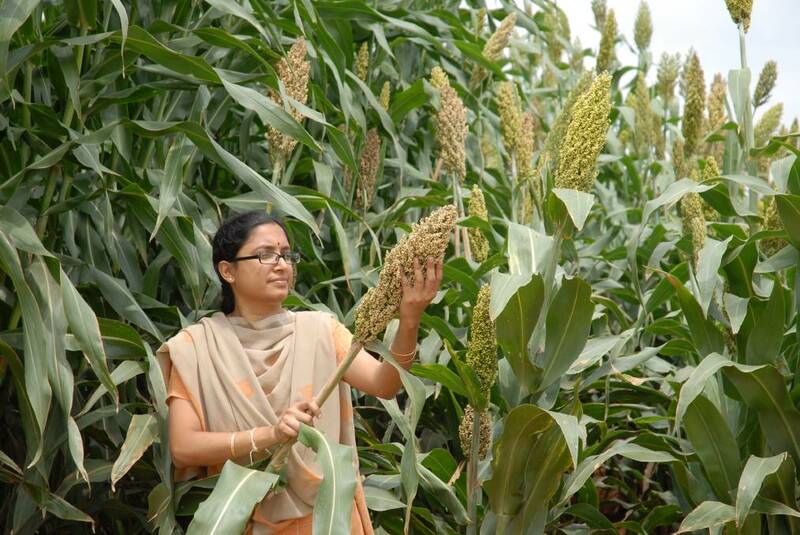 Agricultural researcher the International Crops Research Institute for the Semi-Arid Tropics (ICRISAT) developed a hybrid sweet sorghum as an alternative to sugar cane, which is the traditional source of ethanol. 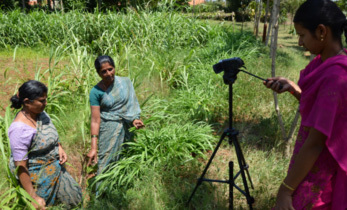 “It provides good returns to the farmer, because they get grain and they get value for their stalks,” said ICRISAT Sorghum Breeding, Principal Scientist Dr Ashok Kumar. 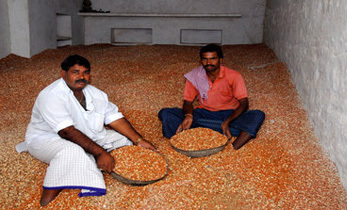 “It’s good for food security and gives the farmer an additional income stream. India is the world’s third largest fuel importer, with 80pc of its supply brought into the country to drive its gargantuan transport sector. Currently, all petrol must contain 5pc ethanol. That will grow to a minimum of 10pc by 2022, and 20pc by 2030. The demand for biofuels will be huge. India is falling short of its initial 5pc ethanol target, with around 2pc of petrol coming from ethanol. Suited to a 500-600 millimetre rainfall zone. Sweet sorghum could be is a versatile crop and could be grown in many countries, such as Brazil and China which are currently investing in biofuel production. Biofuels could be particularly beneficial for Indian farmers, where profit margins are growing smaller as landholdings are divided among India’s growing population currently at 1.3 billion. A dry season crop in India, sorghum can feed sugar mills sitting idle after the annual sugar cane crush and produce returns from grain sales. The India Agriculture Ministry reports more than 85pc of land holdings belong to farms in the small to marginal category with farms less than two hectares. 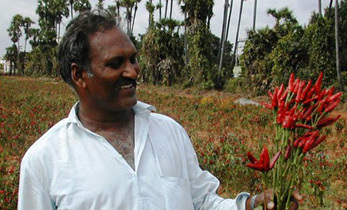 ICRISAT’s cropping research headquarters was founded on fertile farmland in Hyderabad in 1972 as an agricultural research facility for semi-arid farming. 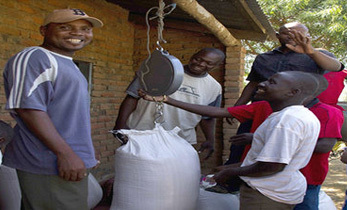 It has developed a range of new crop varieties, farming techniques and post harvest initiatives to capitalise on the dramatic crop yield improvements that emerged during the Green Revolution in the 1960s. Mike Foley travelled to India with assistance from the Crawford Fund and financial support from the DFAT Australia India Council.